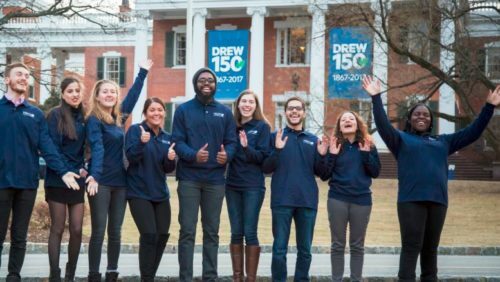 On April 10, the entire Drew Community will come together to celebrate our first Drew Giving Day and work together to raise $100,000 in 24 hours. You can help us cheer on our donors by joining in on these fun campuswide events! SAA continues the long-standing tradition of giving through the Senior Gift Society. Class of 2019, be sure to attend our Senior Gift Society events this year! SAA’s annual campus-wide event took place on November 15, 2018. 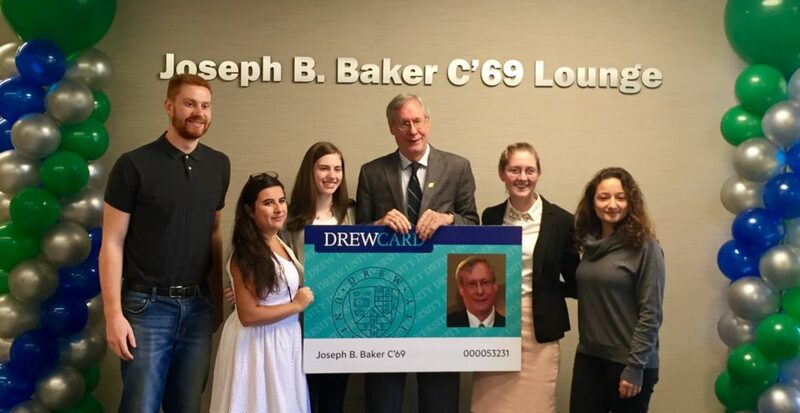 Students wrote nearly 200 thank you cards to alumni donors and learned about philanthropy at Drew. "I am thankful for all the opportunities Drew University provides. Drew is able to open doors for all students"
The Student Alumni Association is a group of student volunteers who, by partnering with Alumni House, encourage lifelong connections with the University by building Drew pride and tradition, fostering student-alumni relationships, and promoting a spirit of philanthropy on campus. 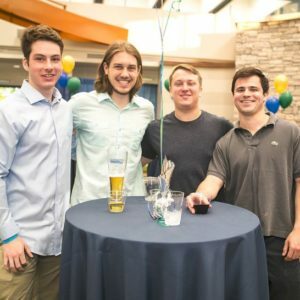 Our programming educates students on the importance of philanthropy at Drew and creates opportunities for students to express gratitude, network with alumni and donors, and give back to Drew. SAA at Day of Gratitude. 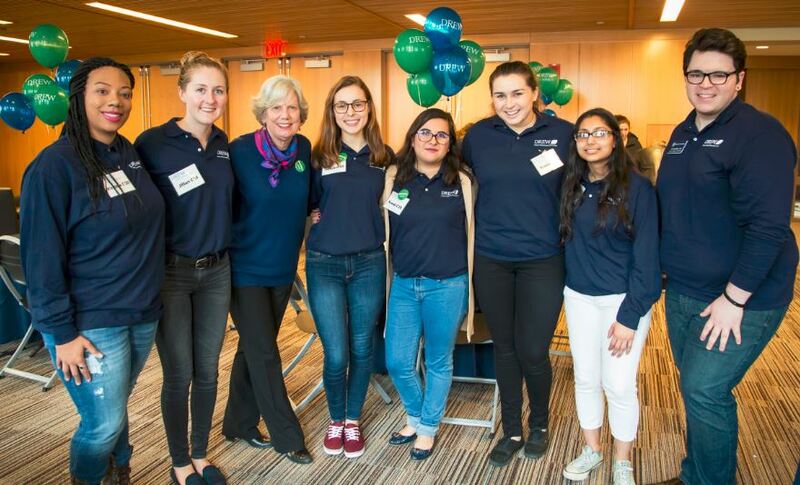 From left: Virginia Leach C’20, Jillian Griffith C’18, President Baenninger, Mason Scher C’20, Kassel Franco-Garibay C’20, Ryann Callaghan C’19, Shivani Mody C’21, and Ian McGuire C’19. Do you have Drew pride and spirit? Are you grateful for the Drew experience? 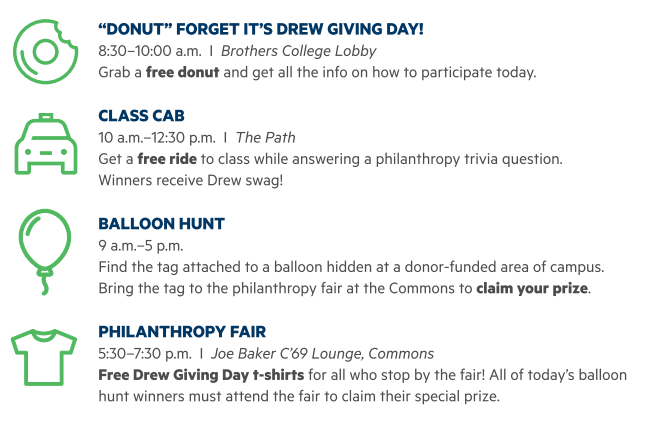 Want to represent Drew at special donor events? SAA is the organization for you! SAA members are accepted into SAA after successful completion of an application process. Membership is capped at 40 CLA students. SAA members must be in good social and academic standing as defined by Daniel’s Dictionary, and must represent Drew University at the highest level with integrity, professionalism, and school spirit. All members are expected to thoughtfully participate in all SAA meetings, events, and other activities that relate to the mission of the SAA. Failure to notify the association adviser and Chief of Staff of absences. Inability to meet participation requirements established by subcommittees at the beginning of the academic year. More than two unexcused absences. Examples of excused absences include class and academic-related commitments, on or off-campus job/internship, athletic contests/practices, and religious and/or family obligations. Violation of the student conduct policy and/or academic policy. *The above is a summary of the membership policy. The complete bylaws are distributed separately. Do you represent the best of Drew? SAA welcomes students with Drew pride and spirit and are grateful for the opportunities they receive here. Contact jbarletta@drew.edu for more information. Read more about last year's Day of Gratitude.